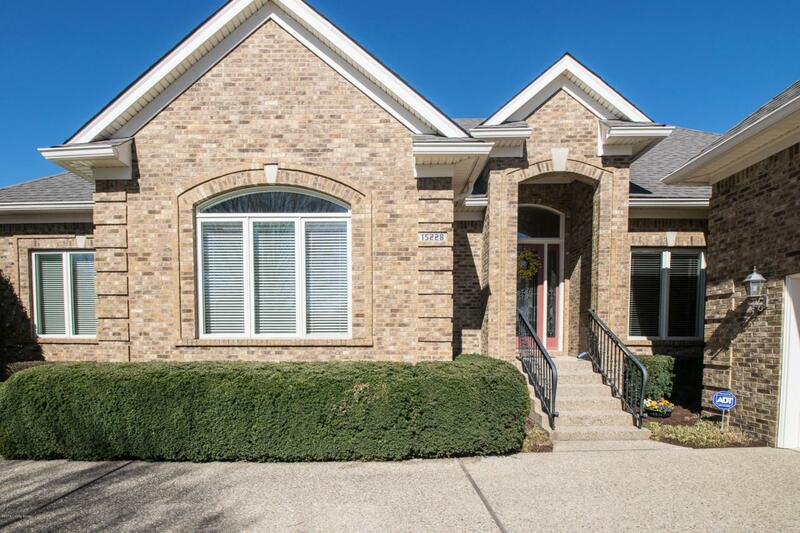 Hard to find 4 Bedroom (one in basement), 3 Full Baths and 1 Half Bath Ranch Style home on the Golf Course in Lake Forest. This beautiful property has 4,471 square feet of finished living space w/ another 949 square feet of unfinished space in the Basement. 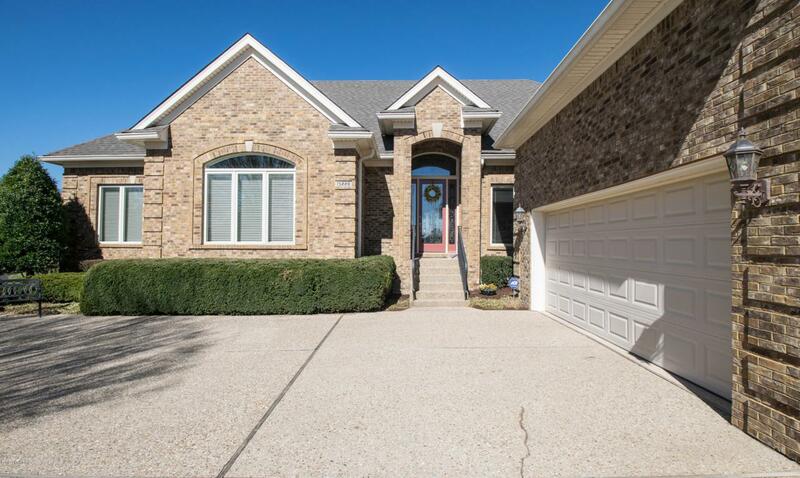 Numerous updates include NEW ROOF (Oct. 2018), fresh paint throughout most of home, along with new kitchen countertops and backsplash, new stainless steel sink, faucets & garbage disposal, new garage door opener & 75 gallon hot water heater. The spectacular custom leaded glass front door with sidelights and transom make quite the first impression. The open concept of the Formal Dining Room, Great Room and Hearth Room make this a perfect home for entertaining. The Formal Dining Room features hardwood flooring w/ inlay, recessed lightingand custom trim. The Great Room has lovely views of the golf course, a stunning coffered ceiling and custom built-in entertainment center. 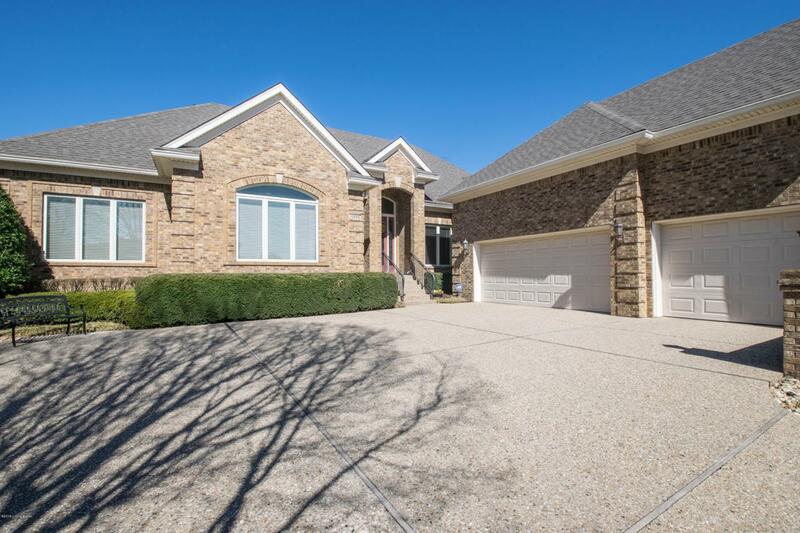 Hearth room w/stone fireplace, beautiful eat-in kitchen with new granite countertops (extended for more seating), new travertine tile backsplash, a double oven, gas cook top, designer lighting and lots of cabinet space. Large master suite with double trey ceiling. The master bath features a double sink vanity, huge walk-in shower & jetted tub. The two other bedrooms on the first floor are connected by a Jack-n-Jill Full bath. Formal half bath and spacious laundry room complete the main floor. 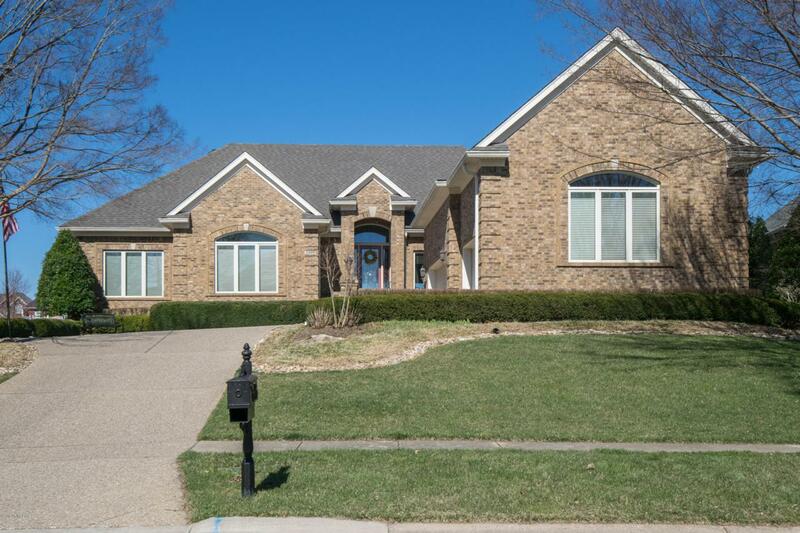 Great lower level with family room, entertainment area, workout room, another room currently used as the 4th bedroom and a full bath. The huge unfinished area is great as a craft/hobby area and for storage. So many possibilities. Enjoy views of hole #4 of the golf course and the pond from the Deck area. Lake Forest is one of the most desired neighborhoods in east Louisville and offers walking trails, pools, a clubhouse and tennis courts. Award-winning public and private schools, great shopping and fabulous restaurants are just a few of the amenities near Lake Forest. A Magnificent Home on a Great Lake Forest street!